MiCamp offers hassle free camping experiences with friendly staff, great facilities, excellent food and a wide range of fun activities. MiCamp Taupo is surrounded by a tranquil native bush setting a very short walk from the edge of The Great Lake, 30 minutes south of Taupo township. We offer different accommodation options for 200 people in our lodges, motel units and bunk rooms, plus caravan and tent sites. Also available is a recreation hall, auditorium , two dining rooms, commercial kitchen and a swimming pool. Catered or self-catered options are available. 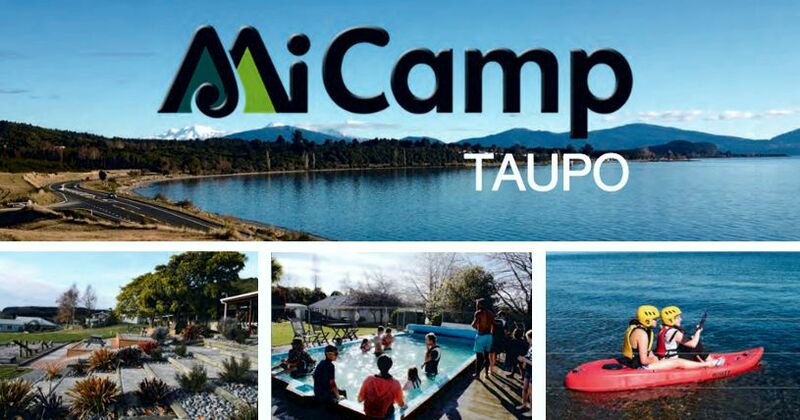 There are many exciting activities available at MiCamp Taupo. We have programmes that include physical challenges, life skills, leadership development and outdoor education programmes that promote an appreciation of the natural NZ environment surrounding our camp.